Budgeting worksheets are an easy way to start your family down the road to financial security and ensure you stay on track in the long term. Creating a household budget worksheet is something every responsible adult should do… yet most don’t. In fact, 68% of American families don’t have detailed monthly budget sheets (source: Gallup Poll). Without a budgeting worksheet, you don’t know where your money is going or how close to (or far away from) achieving your goals you are. In addition, roughly 33% of American families have no savings (source: CNBC). If you fall into both of those categories you are not only flying blind but have no room for error! 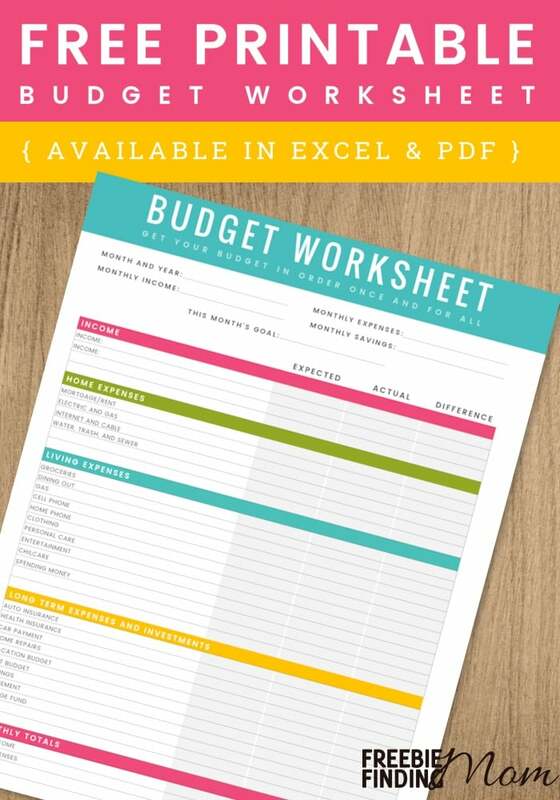 Ready to work on that printable budgeting worksheet now? As you can see, coming up with a household budget worksheet can pay off big! This is especially true when you consider what you have to invest. If you take advantage of free budget worksheets, you’re only putting in your time. Not a shabby return on investment, right? If you’ve put off creating a budgeting worksheet, know that it is never too late to change your ways. 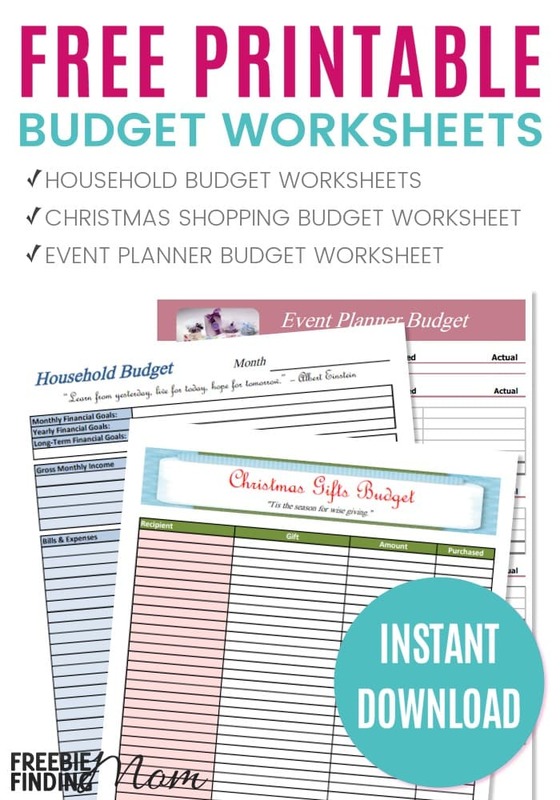 Secure your family’s financial future by taking advantage of these free budget worksheets now!